Today, it’s another piece of jewelry, made by me. 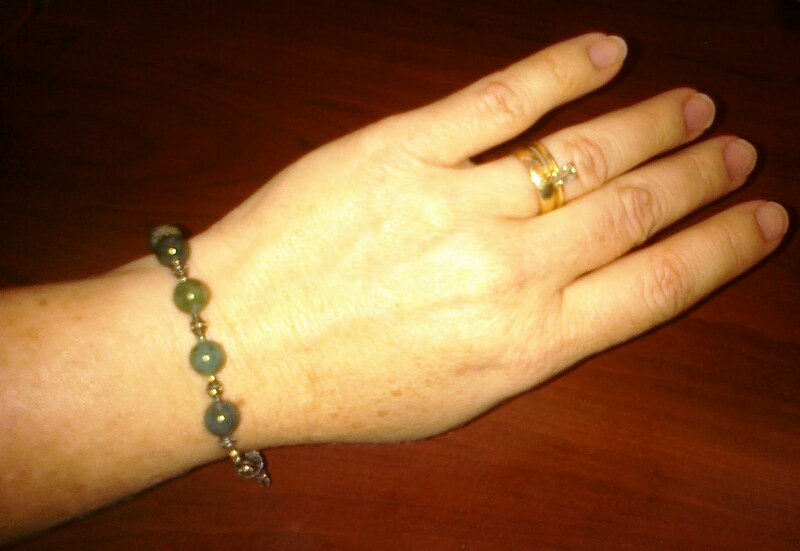 This lovely moss agate piece is a rosary bracelet. The sterling findings were scavanged from a bracelet that belonged to Teen Daughter#2 when she was a little girl, and the agate beads were from my stash.